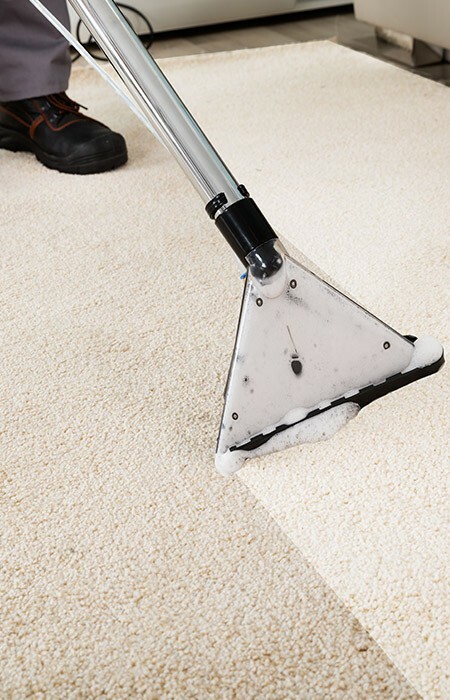 Do your carpets require expert cleaning? Carpets build up dirt and odour over time, so there's nothing better than a professional clean to give your home a breath of fresh air. With plenty of experience in Beeston, Holbeck and LS10, we are the specialists in stain treatment, carpet cleaning and upholstery cleaning; and, most importantly, we’re situated just around the corner. Our specialist team will guarantee your satisfaction with clean, stain-free carpets that smell as crisp as the moment they were fitted. Our tools and techniques go way beyond the machines you can commonly hire in supermarkets and hardware stores. Rather than being left with soggy floors that take days to dry, you'll be walking on dry carpets in just 2 hours. Our process and excellent service are guaranteed to put a smile on your face. Our service isn't limited to floors; We can help to eliminate future problems by stainguarding curtains, rugs and upholstered furniture. Don't worry if you have leather funiture - our comprehensive service means we can clean and stainguard that too. If you’re in Beeston or Holbeck, give us a call and we'll give you a free estimate over the phone. We'll also happily arrange to give you on-site fixed price quote by appointment. We're sure our prices will leave you delighted, but if you're not sure, that's fine too - all our quotes come with no ties! If you're ready for us to get on with cleaning your carpets, call us on 0113 370 9094.